Hot Toys has revealed more images and details for their 1/6th scale Thanos Collectible Figure from director James Gunn’s Guardians of the Galaxy. Check out the images in the gallery below! 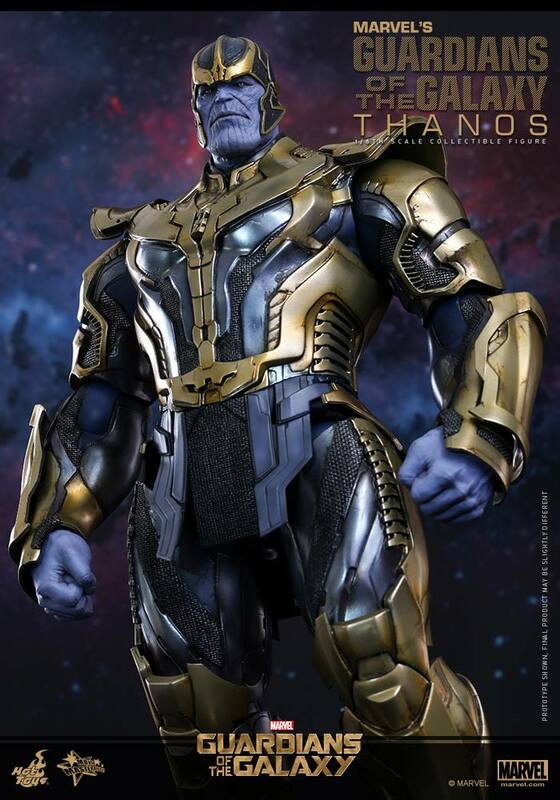 According to the company, the movie-accurate Thanos collectible figure is specially crafted based on the appearance of Thanos in the movie, featuring a newly-developed helmeted head sculpt, meticulously sculpted armored body, and Thanos’ throne with LED light-up function.